Tri-Cities Chamber’s - Business of the year + Business Leader of the year Finalist. Jamie Banfield designed and decorated my new kitchen, living room, and upstairs bedroom closet (wall came down to make it larger) From the start Jamie understood my style, he created a great design for my kitchen, and worked in more details than I could have ever thought of. Jamie I went out shopping to review some projects, and for others he brought samples to my home for me to choose from his recomendations. Jamie made it so easy for me as he listened and understood by style from the start. Overall, Jamie and his team made the process go smoothly. Jamie is very easy to deal with, he listens to your ideas and concerns. My new kitchen is stunning and I am so happy with it! Once we were complete with the kitchen project Jamie helped me choose new furnishings for my living room and I just love the finished result. While I was on vacation Jamie had all my furniture delivered and his team set it all up, including decor, when I arrived home. Wow! That was so awesome to come home to! 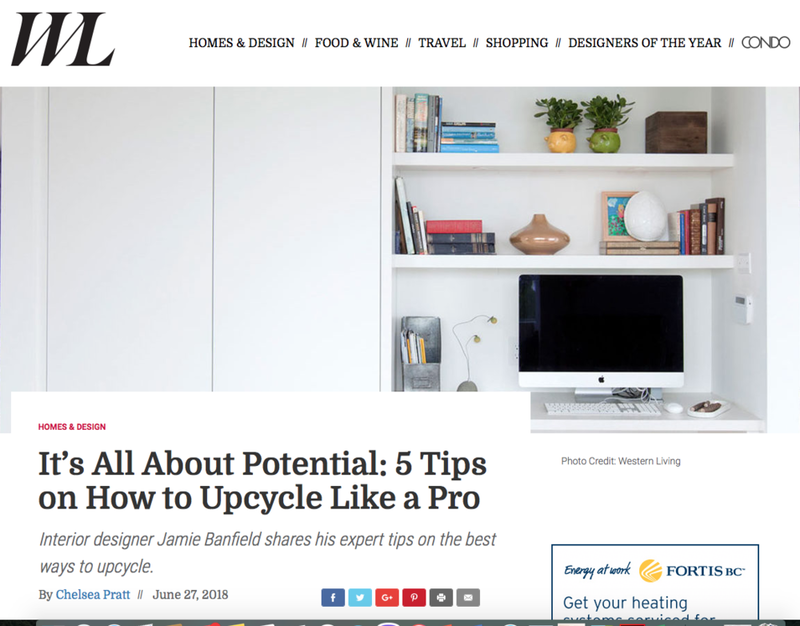 Jamie Banfield, principal designer at Jamie Banfield Design, shares his simple upcycling hacks. 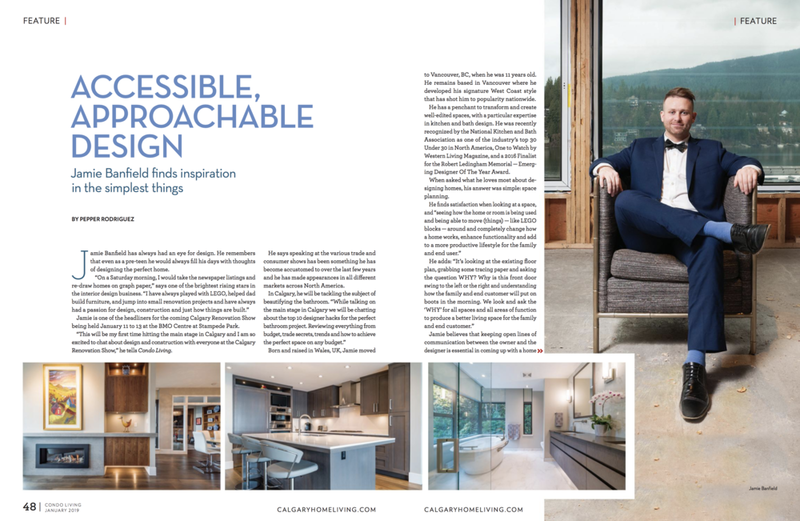 Vancouver interior designer Jamie Banfield, of Jamie Banfield Design, says he shares this philosophy when approaching design projects. Jamie Banfield, interior designer and upcycling expert, once made an entire wall unit out of wire spools. “We cut them so they were half-rounds,” he explains—perfect for storing vinyl records. He’s also created shelving from industrial pallets, galvanized pipes and mason blocks, plus a headboard out of an old door. These one of a kind pieces don’t just save money for his clients—they’re key to creating Banfield’s relaxed west coast aesthetic. And since the designer often scores his materials from the ReStore, his upcycles are also a way to pay it forward: shopping here helps to fund Habitat for Humanity. Most people are comfortable with the idea of picking up the odd secondhand item to decorate their homes, interior designer Jamie Banfield says. But when it comes to large renovation projects — such as ripping out a kitchen and installing a shiny new one — and using secondhand sinks, countertops and cabinets, that’s a new concept for many, he says. Nonetheless, Banfield says it’s one worth getting your head around. Jamie Banfield tour a recently complete West Vancouver Renovation project with Kaitlyn Herbst. With inspiration from the view Banfield's designs were created with a modern West Coast Home. 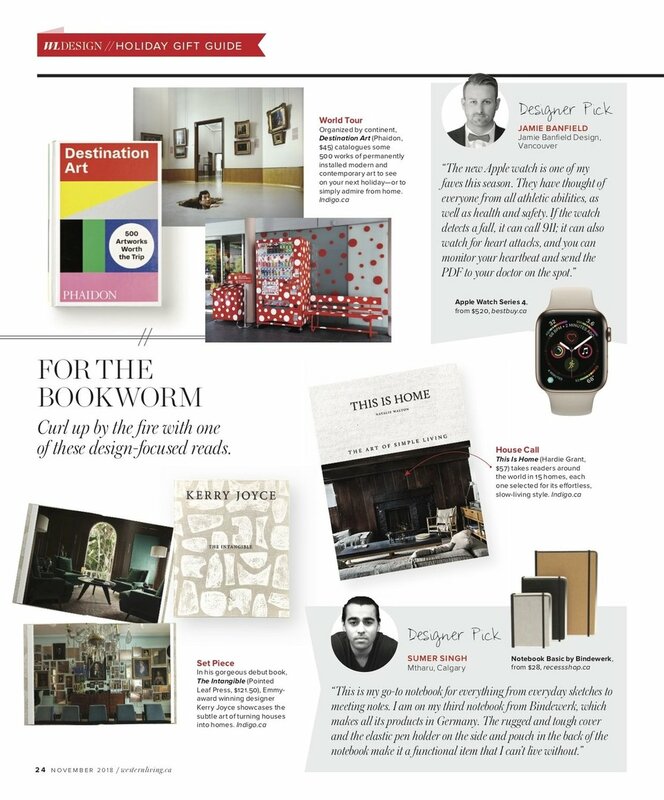 "I may not know the answer to everything, but I'm always looking for a new way to use products," laughs interior designer Jamie Banfield. He's built a custom countertop from wood found in the Richmond Oval's scrap pile, and is currently working to construct a take made from railroad tiles and an old tree stump ("I try to think local, and I love repurposing things"). Which his designs are filled with West Coast flair-think wood and stone accents and beach-inspired colour pallets-Banfield also focuses on functionality. Interior design, he says, is about "being an artist, but also being an engineer on the practical side of things." "I love layering different textures and colours in a space. The texture is an amazing way to stimulate touch—from a plush towel to pebble-stoned flooring; each medium has a unique effect on your senses and comes in all shapes and forms. Incorporating natural materials in a space is another way to delight the senses—whether in the form of a wood backsplash in a herringbone pattern in a kitchen, a textured copper sink, or a live edge counter top, I want each room to have a showpiece that is also classic so that it can be appreciated and enjoyed for years to come. 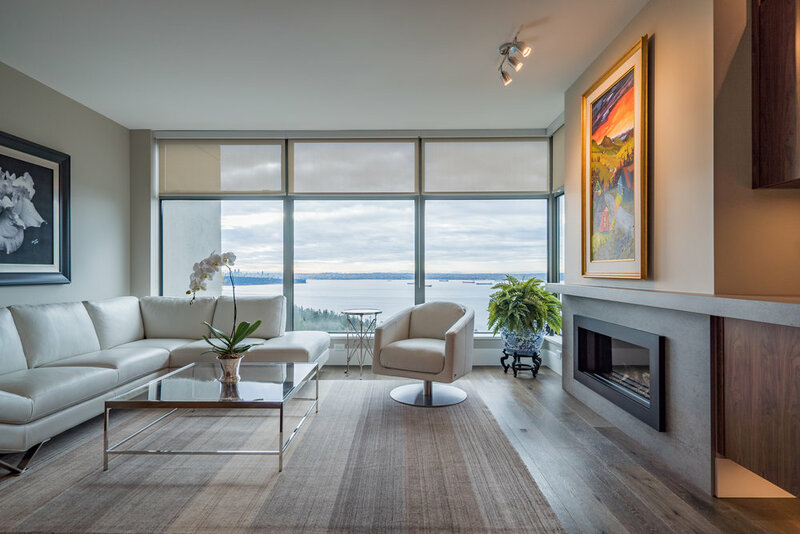 One of my favourite projects is a condo renovation we recently completed. We were able to create a cohesive design throughout but also give each room a different feel by incorporating a mix of textures and colours. Jamie Banfield is not stranger to functionality-he strives to create spaces that are as practical they are beautiful-so we caught up with the interior design to get the inside scoop on ow to design a family-friendly home. Whether you're a young family with active toddlers or a grown family with busy teens, it's important to crate a home that complements your lifestyle. Forget keeping up with the Joneses-with such rapid innovation happening in kitchen and bath technology, we;re almost outpacing the Jetsons. In this brave new work of winterized particles and wireless light controls, it's east to feel out of the loop-so we caught up with the founder of Jamie Banfield Design to get the scoop on where technology is going in 2015. When home shows roll into town, I always make a beeline for the real-life house displays. 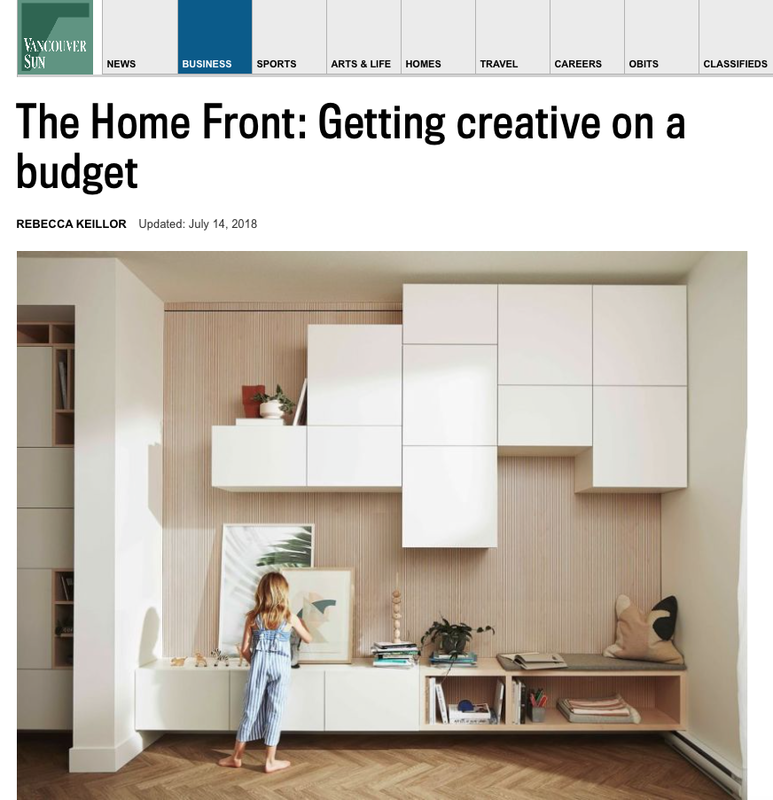 The Power Smart home in particular is a fun feature to walk through because BC Hydro teams up with a local designer who gets to put a chic spin on smart, energy-efficient design (using all the latest appliances and gadgets). 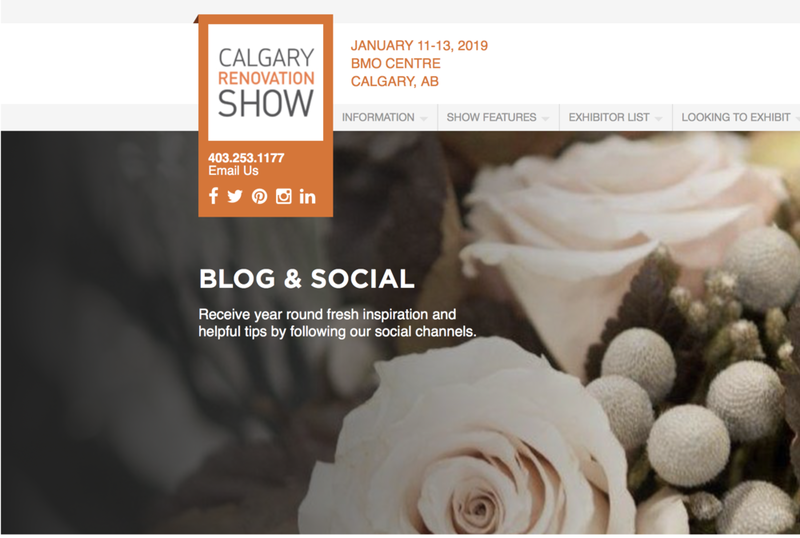 At this past weekend’s BC Home and Garden Show, Vancouver designer Jamie Banfield kitted out a loft-inspired space with creative wall treatments, mod urban furnishings, and tons of unique DIY touches—and we got a peek inside!